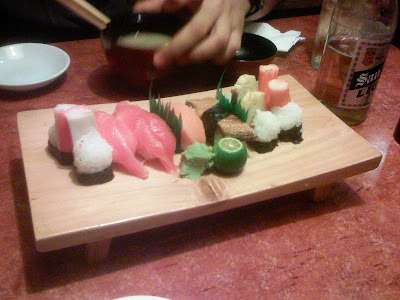 The first time I experienced going to Rai Rai Ken (a Japanese restaurant) was in SM Megamall with who else, but my Questor friends (Questor was an anime magazine of which I was a contributor). I can still remember Igor ordering a huge bowl of sukiyaki and hearteningly consuming the whole lot. And me... whenever I do not know what to order, I would simply get pork tonkatsu. Rai Rai Ken was also witness to us friends sticking together, and our stay there when we had this Final Fantasy Day also at Megamall was very memorable. 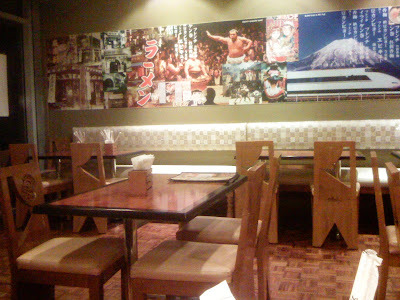 These photos were taken from their Pasong Tamo branch. Harry and I left the office rather late in the night and we were looking for a place to have dinner. Rai Rai Ken was still open and so we went right in and had our favorites. I think we were planning to go someplace though. I think it was Pancake House, but it was already closed for the night. Those late night dinners with friends were really something... at one point it became a mission to get something different every night because they knew I was maintaining a food blog and they were very supportive of it! Of course, having dinner that way is a bit cost prohibitive but we were all too tired to go home with empty stomachs and we really do not cook at home anyways... and my leaving the country was hovering on our heads... but I had a blast. Hope to see you all soon, my friends.